If you are looking for a unit to add into your Criminal Law class, I would recommend taking up the 1958 case R v. Kikkik. 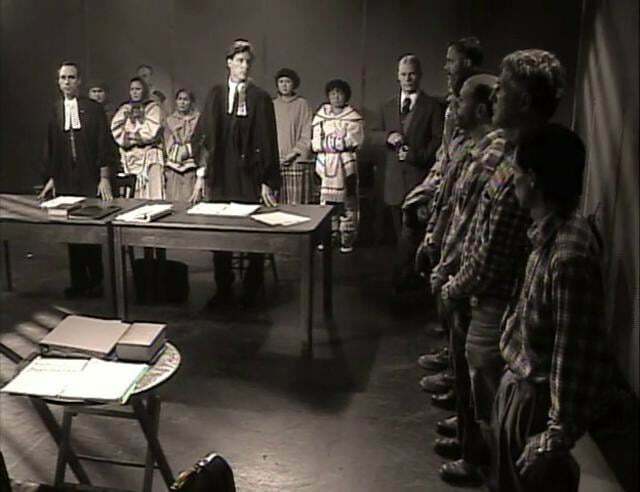 This was the high profile trial of an Inuk woman who was charged with murder (for killing her brother-in-law, who had killed her husband), and with child abandonment (for leaving two of her children behind when she tried to walk the 45 miles to nearest trading post). These events took place in the winter of 1958, after the Ahiarmiut had been ‘relocated’ from their traditional lands at Ennadai Lake to Henik Lake (to a place hundreds of miles away, where there were no caribou, and where many Ahiarmiut starved to death). I use this film/case in the very first few weeks of the class. I don’t have them do any mandatory readings, i just arrange for them to see the film. I have tried both having a lab session (in which they watch together), and simply letting them watch it on their own time. There are different advantages to each approach. The film is accessible on Vimeo (“Kikkik” https://vimeo.com/18742945. After they have seen the film, we spend class time talking about “the facts” (as seen by the criminal justice system), both the successes and limits of that system, and then work outwards in layers to explore what other harms are present, what is not visible within the Canadian justice system, and the after-effects into the future. it raises questions of gender, necessity, self-defence, mothers-and-babies-in-jail, child apprehensions, right to counsel, confessions, translation, juries, judges charges to juries, media coverage of judicial system, etc etc. [especially if you use the transcript]. There are many ways you can easily refer back to the case throughout the year in ways that support better knowledge about the history of Aboriginal/Crown relations. If you like to use images in class, here is a link to the powerpoint I sometimes use. Feel free to modify, extend, alter, make it your own, etc. there are two versions of the film. The shorter vimeo one (link above), and a longer one that has an additional 30 minutes of footage taken after the elders had returned to the home from which they had been moved. I really love the longer version, but it is only online in the inuktitut version (as far as I can tell). Students find it easier to access the shorter version. If you have time to do a larger screening, the longer one has additional material that is very powerful.